Forget conscious uncoupling; conscious shopping is where it’s at. Maybe you already shop for organic produce for your kids at the local co-op or for sustainable woods when you’re decking out the family room. It’s becoming easier all the time to do better for our kids and their future planet. 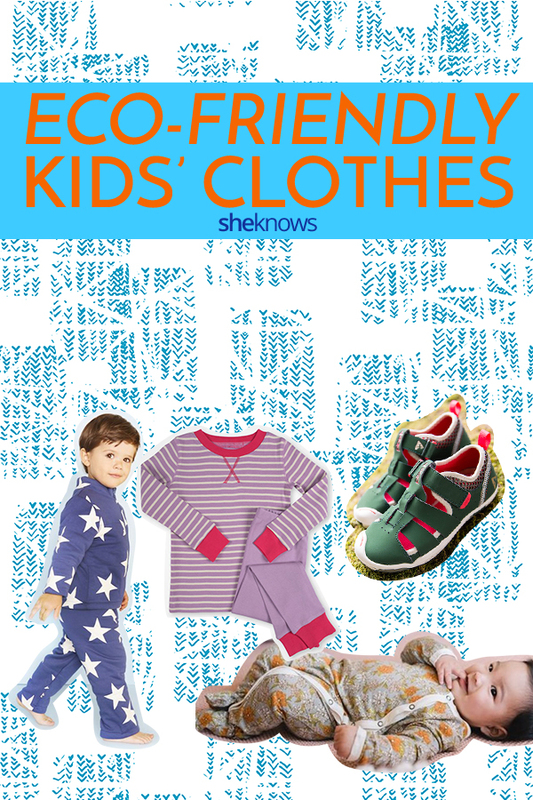 And these days, eco-friendly kids’ clothing you can feel great about is just a click away too. Got GOTS? That’s Global Organic Textile Standards. GOTS-certified clothes for kids often cost a pretty penny, but there’s good reason for that: They contain a minimum of 70 percent organic fibers, and all dyes and treatments have to meet stringent environmental criteria. Considering so much clothing is still manufactured with nasty stuff like formaldehyde, PVC and other known carcinogens, well, that GOTS label is a pretty reassuring thing to see on a baby onesie or a toddler romper. And then there’s the fact that 20 percent of all water pollution is due to the manufacture of nonorganic clothing. Ugh. So what can you do to keep your kids — and the water they drink and all that other good stuff — safe? Organic cotton is a great choice and a classic. But it isn’t your only option. 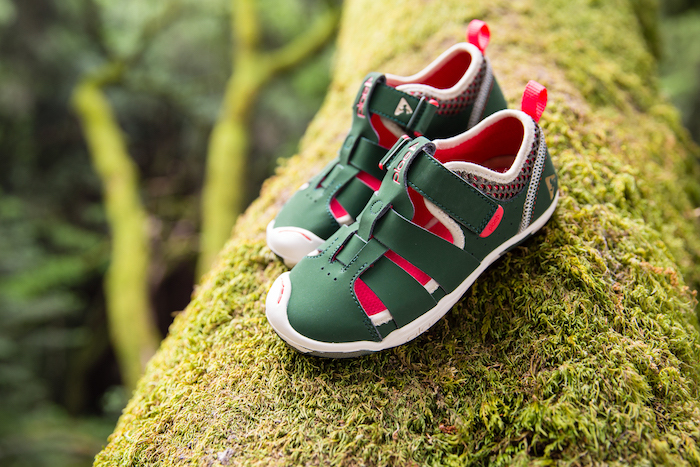 Many designers are now crafting kids clothes out of materials such as soy, bamboo and hemp. Soybean fiber, for instance, is so unbelievably soft, it’s even earned the nickname “vegetable cashmere.” Plus, it absorbs moisture just as well as its cousin, cotton. Plus, soy is stronger — and thus holds up better to bony knees and growing elbows — than wool. We’ve rounded up just a few of our favorite eco-friendly kids clothing brands. But there are tons of options out there, so please don’t stop with just these recommendations. Seek and you shall find — and you shall buy. The best part? Some of the clothing lines are actually affordable, so you can pay less to worry less — about the planet and about your favorite small human. Win-win. Pact has a simple mission: “To create the comfiest clothes in the world without destroying the planet or harming people.” Pact only supplies from fair trade-certified factories and pays its workers a living wage, so you can rest easy knowing any purchase for your little one is having a positive impact. 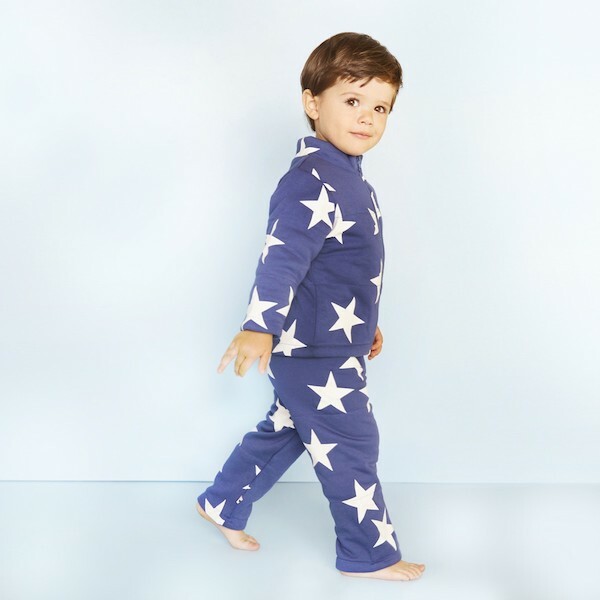 Pact is fab for soft, no-nonsense basics, such as affordable 100 percent organic cotton onesies and tees. And guess what? The brand has basics for grownups too. Babysoy slays with soy (azlon) and soy-blend clothes for wee ones. Their nifty designs have been spotted on the children of A-listers such as Jennifer Garner and Halle Berry. Not too shabby, Babysoy. Check out their rompers and butter-soft blankies; you know Garner and Berry don’t mess around when it comes to their kids. Mini Mioche clothes are designed and made in Canada, our kinder, fairer and Euro-chic-er northern neighbor. Not only are the crazy-soft baby peplum tops and onesies the sweetest things ever; Mini Mioche is also a fan of style-forward neutrals — which are hard to find in the blaringly bright world of typical kiddie fashion. Kate Quinn Organics and L’ovedbaby are two eco-awesome brands available on Amazon — how easy is that? And the designs are downright darling. We especially love the printed baby sacques and kimono onesies from Kate Quinn — and so will your best friend when you gift these at her baby shower. Silkberry Baby will dress your kids in, yes, silky bamboo and organic cotton wonderfulness from birth to first grade or so. The company is located in Vancouver (the Canadians are really rocking this eco-friendly clothing thing), and their stretchy, comfy, breathable designs will make you wonder why bamboo has been missing from your kid’s wardrobe (and your own) for so long. And the bamboo print accessories — including hats and bibs — are so sweet, our teeth ache. Hauptli Haus Kids brand is Cradle to Cradle-certified in the following categories: material health, material reutilization, renewable energy and carbon management, water stewardship and social fairness. They’re the first kids product to reach this level of certification. Plus, the clothing is completely biodegradable. But you don’t need to stop at clothing alone. In addition to its array of organic cotton clothing and bamboo leggings, Milkbarn also offers bamboo headbands as well as organic cotton bath towels and stroller blankets. For eco-friendly tootsies, you can’t beat Plae, a shoe brand that takes every step to minimize its carbon footprint. Plae sources recycled and nontoxic materials (including old milk jugs) and even operates in a solar-powered fair-labor factory. So there you have it — it’s now simpler than ever to keep your little ones in safe, sustainable clothes that protect the planet too. And the variety of smartly sourced, smart-looking textiles and blends continues to grow. The outlook for eco-friendly fashion is definitely bright, and we can’t wait to see what Earth-oriented designers will be wowing us with in the future.